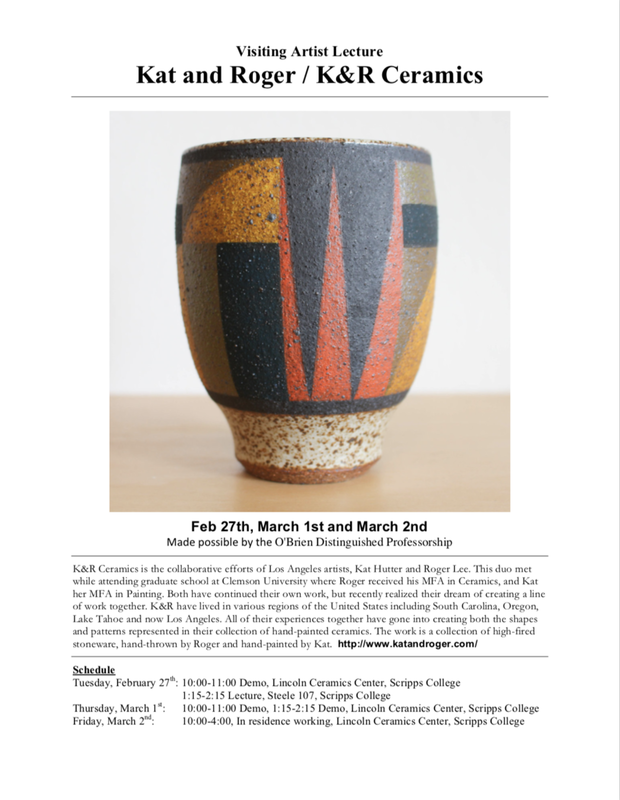 The Pasadena Museum of California Art (PMCA) is proud to present Kat Hutter and Roger Lee: Another California Day, a mixed-media installation created for the PMCA’s Project Room, by painter Kat Hutter and ceramicist Roger Lee. On view April 17, 2016-September 11, 2016. Inspired by the rugged, scenic beauty of the state, the artists present a deconstructed and abstracted vision of the quintessential California landscape. 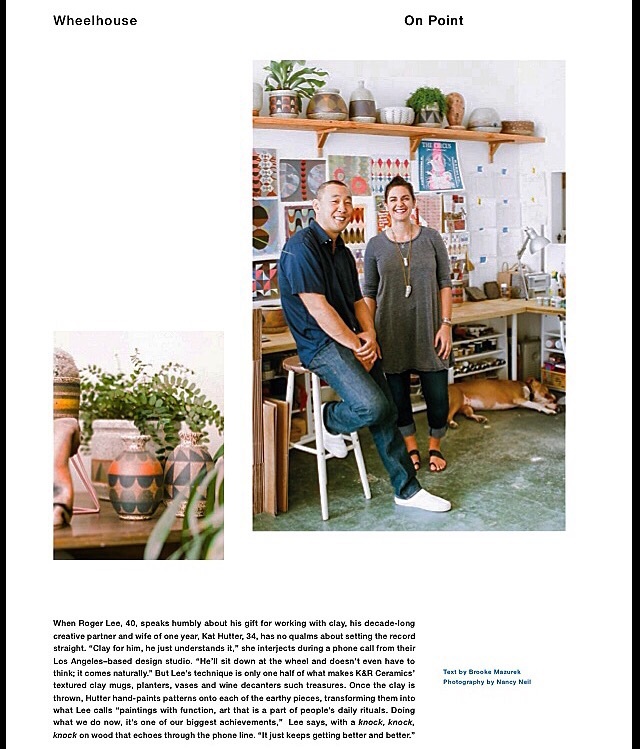 This unprecedented collaboration is an intersection of the artists’ independent practices, their photographic explorations of California, and their combined endeavor K&R, through which they produce carefully-crafted and glazed ceramic wares. What began as an informal, photographic documentary of the beauty surrounding the husband and wife duo in their daily life and travels through the state—photos of Tahoe, Santa Barbara, Griffith Park overlooking Los Angeles, many posted on Instagram as #anothercaliforniadayproject—became the impetus for the PMCA project. The installation provides a sensory experience, a three-dimensional simulation of the artists’ interpretation of the allure and uniqueness found in every California day. Created and installed onsite over a period of about one week, each day will be spent on a different aspect of the project, acknowledging the process and physical labor involved in translating a point of inspiration or idea into an object or space. Hutter’s murals, painted directly on the gallery walls, feature an overlapping teardrop-shape that is organic and minimal. The form is variously reminiscent of leaves, shells, and beetles, amongst other flora and fauna. Her colors are directly excerpted from the California landscape, the cool blues of the ocean and sky contrast with the burnt reds, oranges, and peach of the sunset. Set against the backdrop of Hutter’s mural paintings, Lee’s three dimensional forms, composed of wet, bare, unfired clay—which will shrink, crack, and crumble as time passes—are loosely inspired by the succulents and cacti of the California desert. Sensual and earthly, the raw clay mimics both the terrain of the land as well as that of the human body. Together, the artists present a pure and elemental portrait of the state that inspires everything they do. Kat Hutter and Roger Lee: Another California Day is an unchartered, distinctive combination of media that considers the intersections of natural and created environments, beauty and the work that makes it possible. The exhibition is organized by the Pasadena Museum of California Art. Pasadena Museum of California Art, 490 E Union St., Pasadena, (626) 568-3665 or visit www.pmcaonline.org. In this month's issue of Paper Magazine, we are one of the artists featured in the Current Obsession section, p.24. Roger turned 40 this year, and we decided he more than deserved something special. He has been daydreaming and discussing a custom surfboard for the last 10 years, and probably long before that. A while back he had started following a Southern California board shaper named Jim Hines on instagram whose craftsmanship and love for surf is what drew Roger to his work. He makes special videos documenting his process with such attention to detail treating each board as it's own piece of art, Roger just knew this was someone he respected and wanted to work with. I had dabbled in painting some of Roger's old boards in the past, covering up years of ding-repairs and wear, but nothing with real staying power. Jim had told us that he had been following our work also, and a very organic conversation about collaborating evolved. After years of us making each other as many gifts as we could possibly think of, this was in the back of my mind as something I always wanted to do for him someday. Low and behold Jim was stoked about it too, and the collaboration began! We are very lucky to do what we do, and moments like these are really why we do it. Not only does Roger have this beautiful board, but we have made a new life-long friend in Jimmy! HAPPY 40TH ROGER!! Your love for the water, life and creativity inspire me every day. Love Love Love you!! 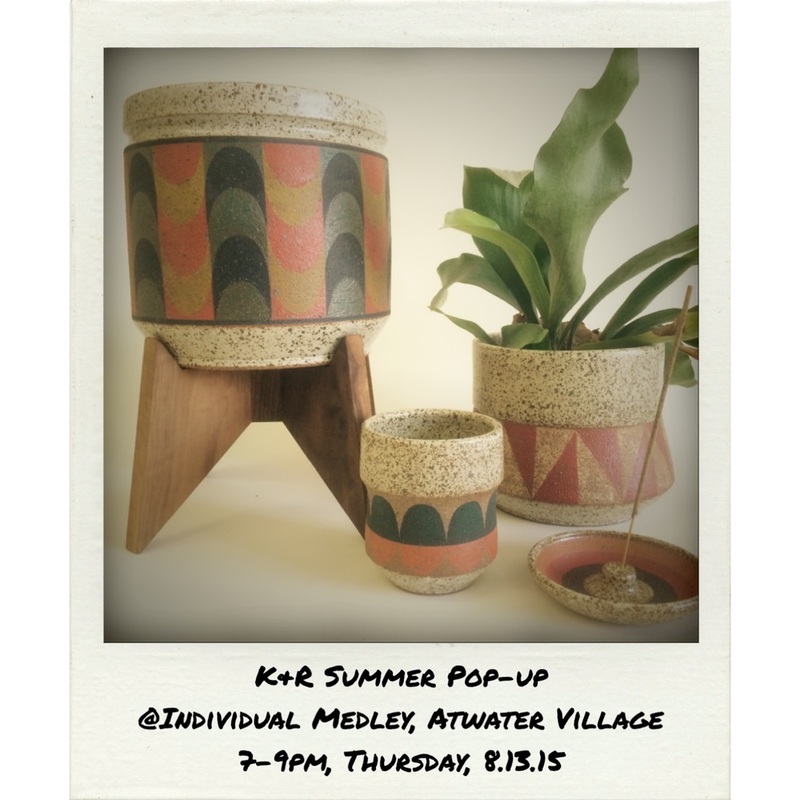 4th annual pop-up event: This year we are hosted by Individual Medley, focusing on planters and plants. This project is the first of a series inspired by our experiences in the California landscape. We love California, especially the aesthetic beauty that lies in the rugged landscapes from mountains to ocean, layered around and within the vibrancy of the city. There is a rawness to the environment that speaks to the more simple things in life that are pure and refined. In contrast, we have discovered the patterns within these environments saturated with color and textures that make up the material of our surroundings. These are the elements which we draw from as the platform for our “Another California Day” series. This piece in particular is inspired by the colors of the Los Angeles Sunsets, and combines both geometric and organic qualities that are often seen when observing the landscape. There is also an aspect of change as you rotate around the piece, mimicking vanishing horizon lines, and the way the light changes our perception of a landscape. We feel such excitement and enthusiasm when we think about all of these elements, and we can’t wait to translate the visuals into new interpretations and materials for K&R. This site, “34°08'45.0"N 118°03'06.6"W” at the LA Arboretum was the major inspiration for this installation. Located below the San Gabriel Mountains, the 127-acre botanical garden is home to a diverse collection of plants, largely California natives. 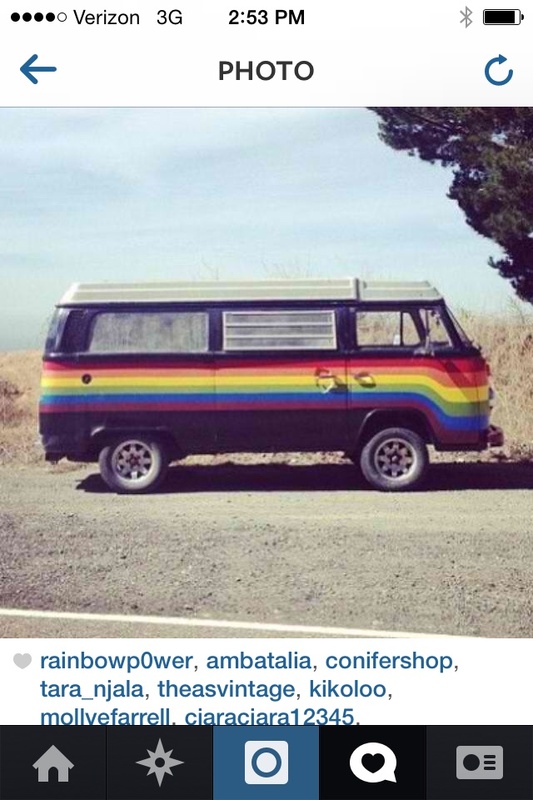 What drew us to this specific site was the openness of the location. Centered among a ring of trees was a vacant space that looked as if something needed to be there. Eventually we discovered there was once an old Ficus that had blown over in the 2012 wind storm that devastated the area. This site was once occupied by a magnificent tree and now remains vacant. 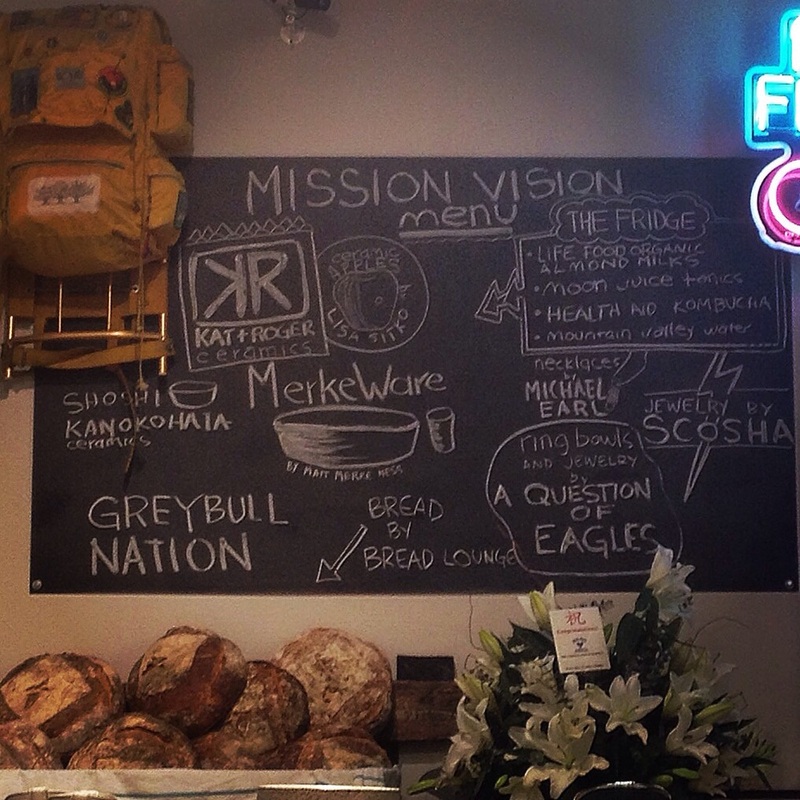 We feel this piece is, in some way, a celebration of the life that was once there. It is also a critical time for Southern California where we are experiencing one of the worst droughts in history. Because of this we are forced to reconsider our lifestyle and implement a more sustainable way to protect our resources and consider alternatives. This will affect the landscape of Sothern California, where plants and animals thrive from the abundance of our resources. Now it is time to face the reality of living in the desert and embrace the changes in our landscape. In doing so, this project seems much more relevant in this site at the LA Arboretum. This sculpture was part of “The Nature of Sculpture” at the Los Angeles County Arboretum and Botanical Gardens, curated by Patricia Ferber. 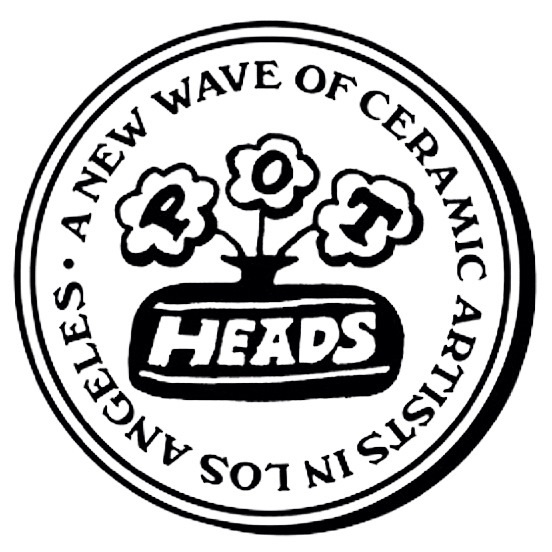 Design Matters is proud to present “Pot Heads: A New Wave of Ceramic Artists in Los Angeles,” a group exhibition curated by Andrea Arria-Devoe. Pot Heads is a showcase of eight of the best ceramic artists working in Los Angeles today: Dora De Larios with Irving Place Studio, Kat & Roger, Mirena Kim, Heather Levine, Ben Medansky, Victoria Morris, Sunja Park, and Pilar Wiley. 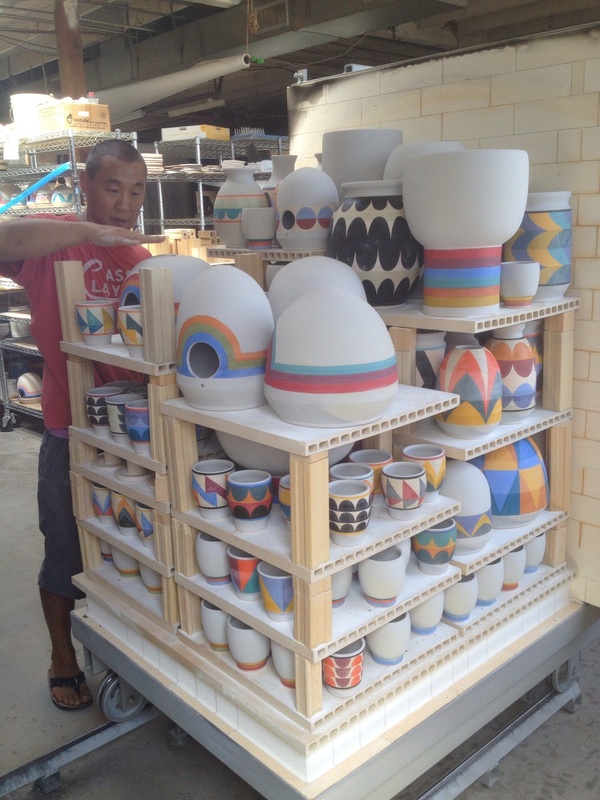 Riding a wave of renewed popular interest in American pottery, Pot Heads highlights the common threads joining this group, dedicated to the art of hand-thrown, functional ceramics. Influences range from classic mid-century modernist forms to Japanese craftsmanship, organic glazes and hues, and a freedom of expression inspired by the California sunshine. 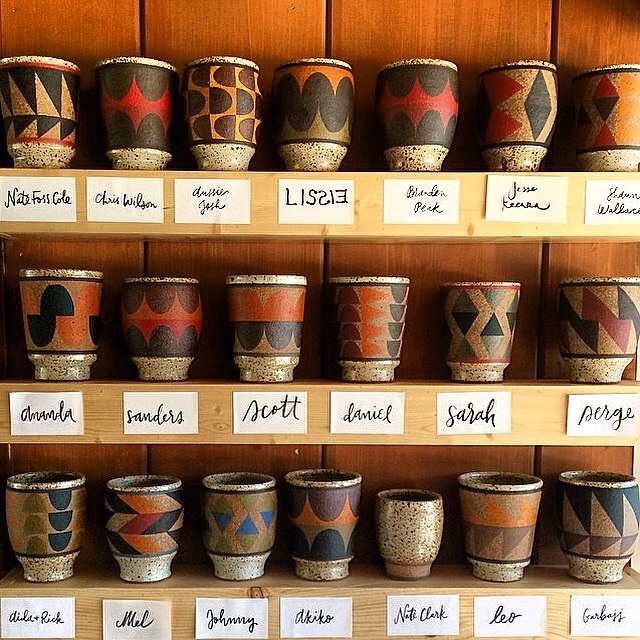 The by-product of these influences is an accidental, thriving community of artists who echo the Los Angeles Studio Pottery Movement of the 1960s and ‘70s. 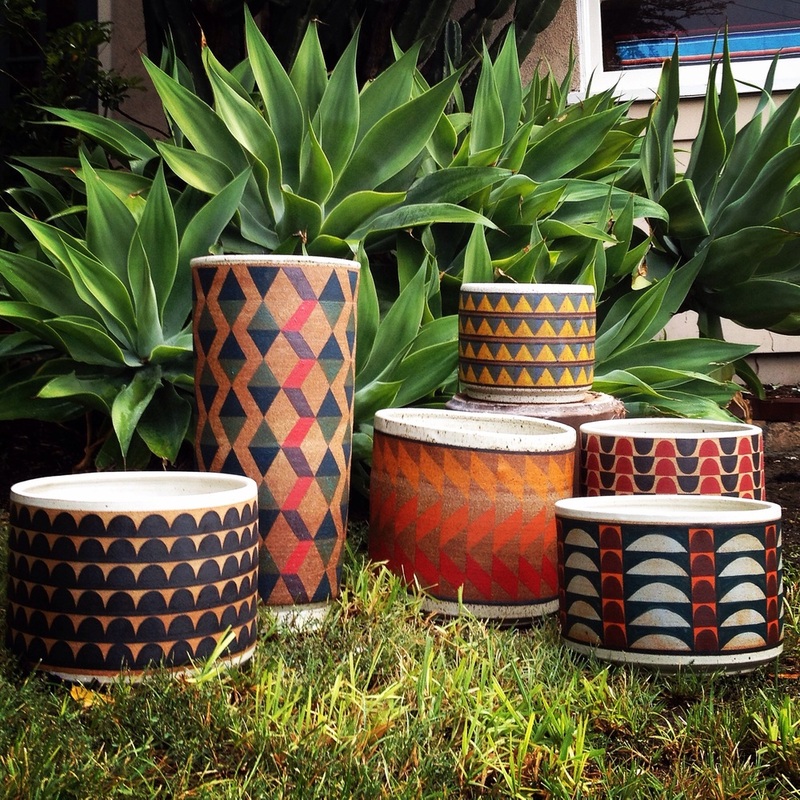 Underscoring the notion of a California clay revival is the inclusion of works by Dora De Larios, a potter who studied with Vivika and Otto Heino at USC six decades ago, and founded Irving Place Studio with Ellice Johnston in 1968. In 2012, De Larios re-launched the company with a line of simple, rustic tableware in collaboration with her daughter and son-in-law. Sabrina Judge and Aaron Glascock. 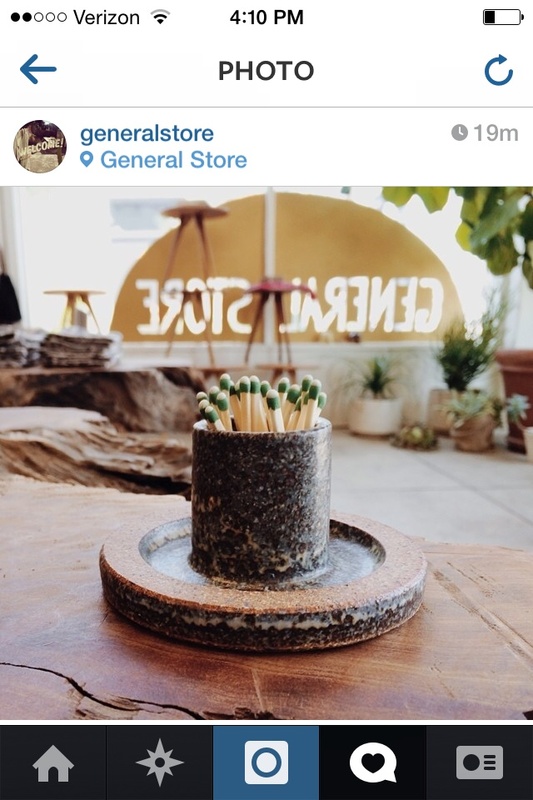 Several of the featured ceramicists have worked with Adam Silverman, Heath Ceramics’ artist-in-residence and a trailblazer in the “art” of retail ceramics. Trailing Silverman’s path, these artists find themselves in the midst of an interesting conundrum: retail versus gallery ceramics? Is there a bias? 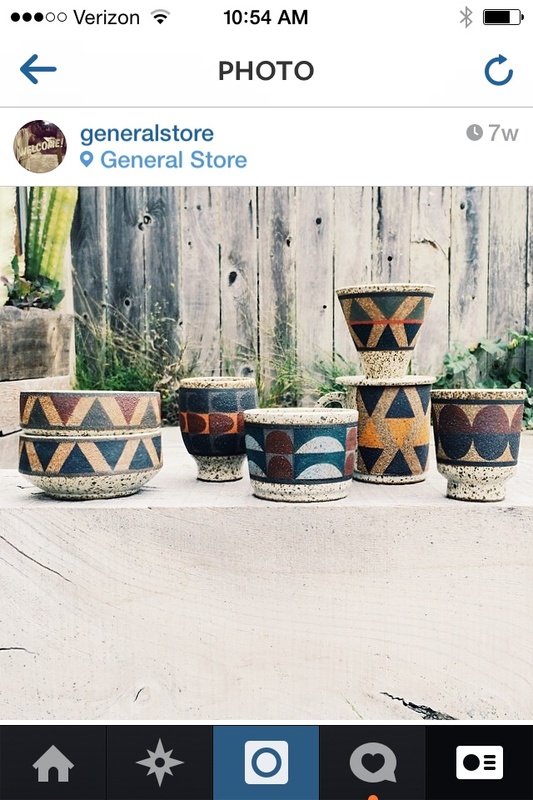 Or, can a potter be recognized as an artist while still being a business? The pieces chosen for the show are meant to be examples of this increasingly blurred line. To complement the artists’ collective devotion to an enduring sensibility, Vitsoe will be providing a number of Dieter Rams-designed 621 Side Tables to display the ceramics. The table was first designed in 1962, and was recently re-engineered alongside Rams to satisfy the the company’s exacting standards, to be sold online at vitsoe.com and Vitsoe shops worldwide. Japanese artist Katsuo Design created the Pot Heads logo, as well as a limited edition silk-screened poster made especially for this exhibition. 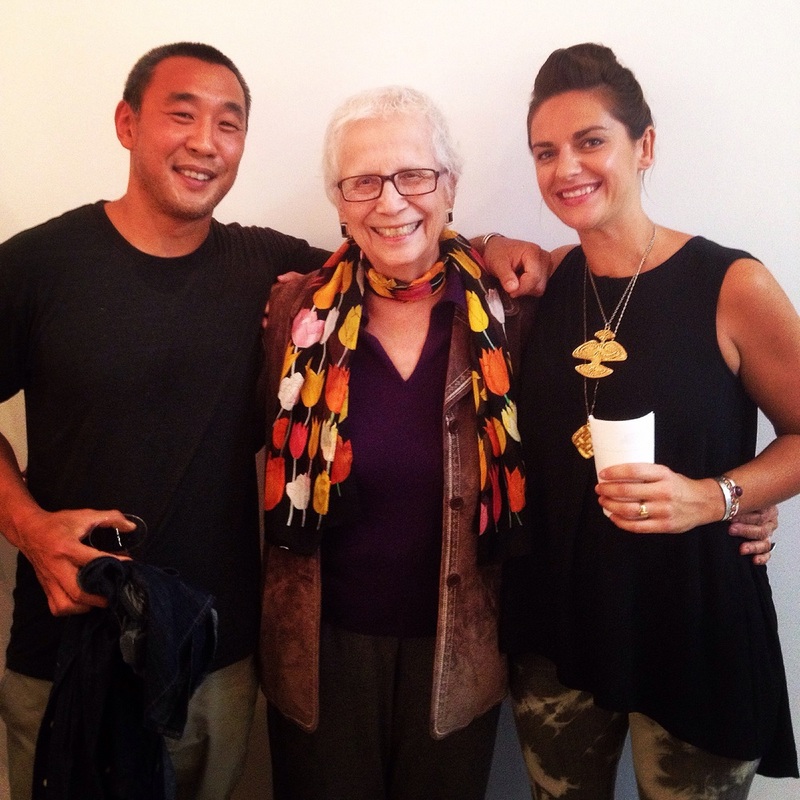 The opening reception takes place Thursday, October 16, 2014 at Design Matters Gallery. The reception is open to the public, and the exhibition will be on view through November 16. Custom skis, for the pure joy of riding.